These fun pool / snooker superhero figure trophies are ideal as gifts or awards for your pool or snooker playing hero. 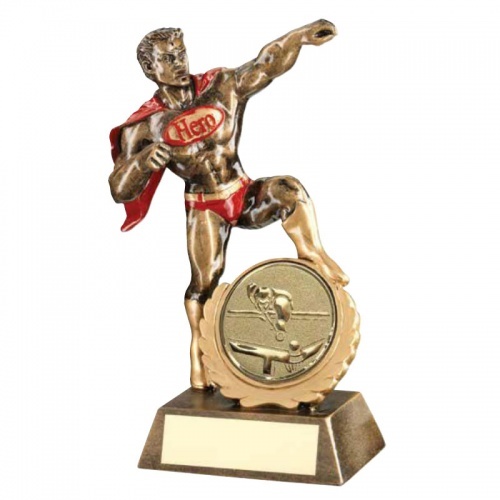 Crafted in durable resin with a bronze and gold finish (and red pants and cape! ), the detailed figures of a male superhero standing over a 1in centre inset with a pool / snooker scene. The height of these awards is 7.25in / 184mm.